Byron doesn’t swear. He’s not religious about it or anything, he just doesn’t see the point, and it would clash with the levelheaded image he prefers to present. Phil and I went back and forth before settling on “whale.” His first idea was “non-ogre,” and I countered with something I no longer remember that Phil said sounded too much “like a walk-on in Hackers.” It’s interesting to go back to our notes from this period and see how involved we were in tweaking each other’s drafts. We’d eventually all but stop doing this, for reasons that… ah, but we’ll get there. Phil came up with “boxblocked” on his own, though there are other instances of it, as one word or two, that go back at least as far as 2004. Considering she got rocked in the cave, it’s hard to imply he boxblocked her. I think you can only claim [genital]block if you’re currently and actively on your way to get some, and close to. There’s no statute of limitations on blocking. 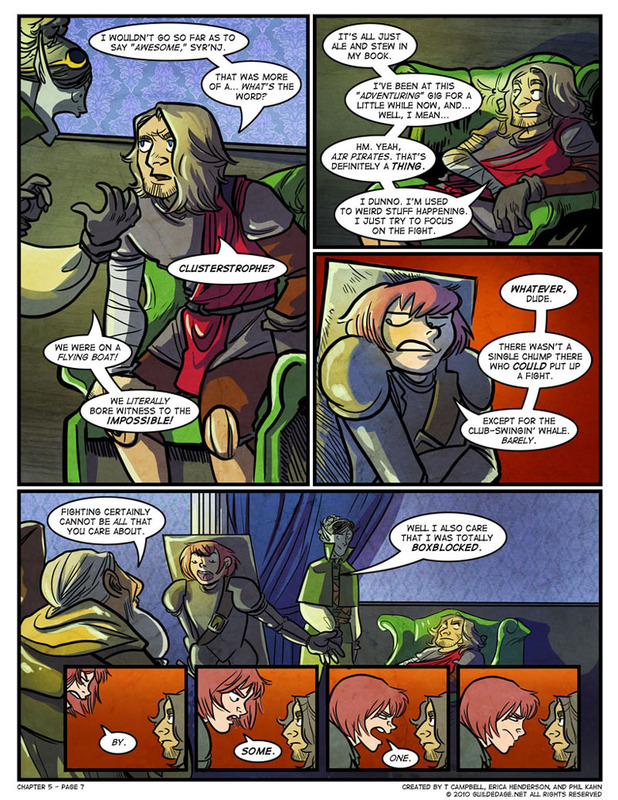 The only flaw in Frigg’s accusation is Adventurer 101 – you get drunk and laid AFTER the fight. Byron comes off pretty smug with his “been there, done that” attitude though I can see why he’d feel bitter about the experience. 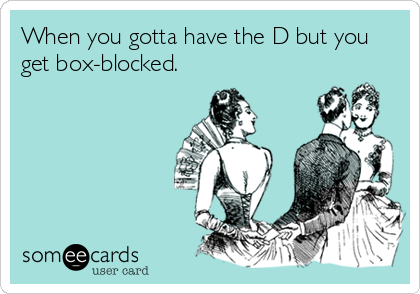 Regardless of where it came from, “boxblocked” is still a fantastic word.